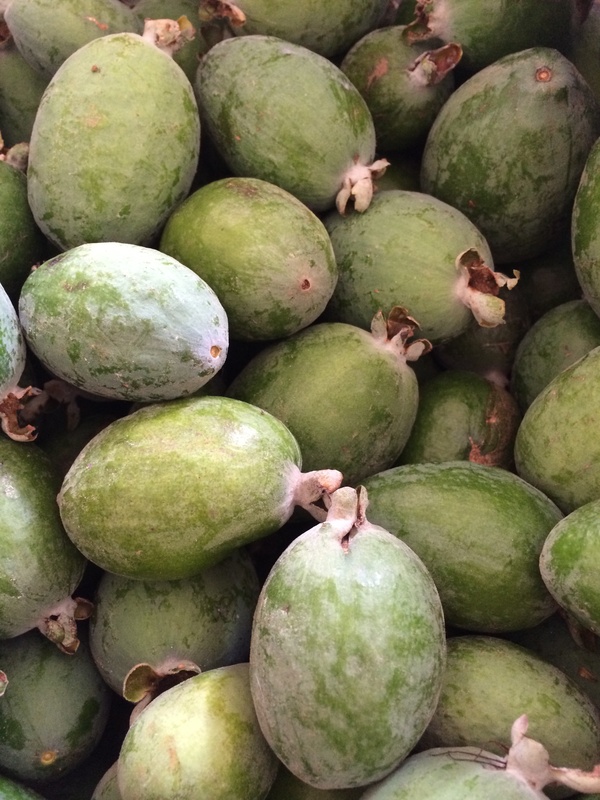 This is feijoa heavan right here. For the first time in ten years our trees have an abundance of good size fruit. Using the strawberry ice cream recipe from the recipe community, link above, and substituting the strawberries for feijoa pulp we made feijoa icecream. Once frozen, the icecream is cut into squares and blitzed for a few seconds at speed 9 in the thermomix then ready to scoop and eat. 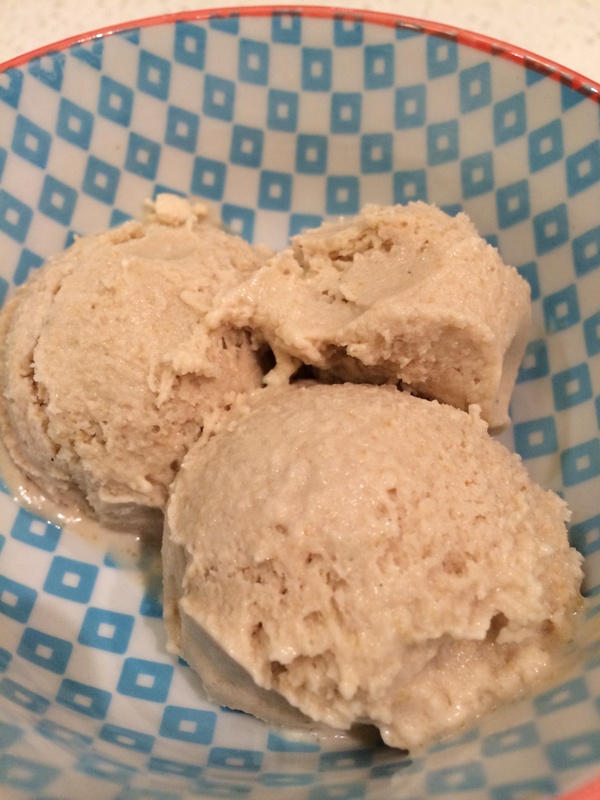 The result is sublime… Creamy, dreamy, soft, sweet feijoa icecream. We would challenge anyone to find a better gourmet icecream. Notes :- reduced sugar in recipe from 150g to 100g, and instead of 500g cream used 300g cream and 200g milk. The icecream is usually a bit hard and icy to cut into squares with sharp knife but if left out for a few minutes softens quickly, pays to freeze in shallow containers. And after second churn, it looks crumbly but you can press into an icecream scoop to make it look pretty, eat straight away or refreeze for later . Omigosh it’s divine! And the whole family wants more.